I have an 825 that the three point hitch does not seem to want to operate, any advice would be appreciated. You could start by checking hydraulic oil level. Clean the hydraulic oil filter. Then check system pressure by hooking a gauge to the output. Did you ever get the 3 pt working? I have the same problem. 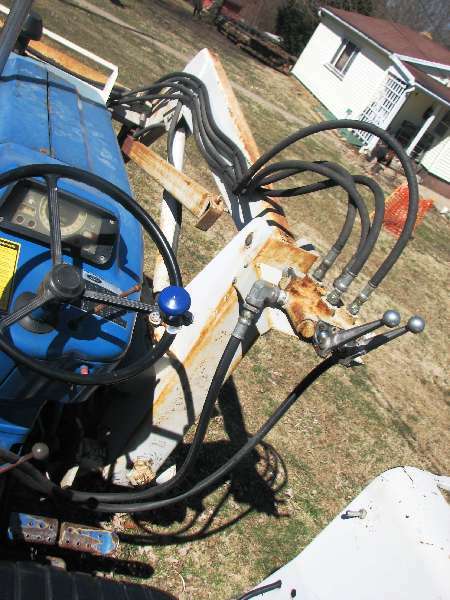 I am new to the tractor and am wondering if there is a disconnect somewhere that I am not able to make it move. I have a Dual loader and it works fine, but it has an external pump running it. Iâ€™m not familiar with that model in particular but generally a tractor will have an adjustment knob, usually under the seat between the operators feet, that controls the speed at which the 3pth lowers regardless of how fast the controls are moved. If that knob is turned too far to the closed position the 3pth will be frozen.